One of my classes this spring has been organized to be student centered – the students organized the syllabus and chose the readings. And from my view this was hard…Why? Because for my entire journey through education, including when I was teaching in the high school classroom, the teacher made those choices. I tried to move away from all of the choices when I flipped my classroom, and moved more towards the students when I gamified…but…. You might think that organized chaos would reign, far from it. The prfoessor ran the ship for the first couple of weeks – he provided the umbrella under which we would work and study. As students, we stayed within the confines of his overall class goals. Do your students have great ideas and want to try different things? When you remove yourself from the focus of your room, do the students get creative? Could you accept different forms of assignments that meet the same learning goals? Age appropriate is important of course, but even in kindergarden students have choices about what centers they want to “play” at, right? So with younger students, you can start by giving them choices in what to do to demonstrate learning. With older students you could ask them to create the entire unit. Remember – you are the teacher, so be sure to step in when necessary and provide guidance. Turning over “control” is scary, but you are still the expert, you are still the teacher. Quick personal example: I am teaching a course about integrating educational technology to preservice teachers. My syllabus outlines the course and the units that will be taught. Starting with the fourth week, my students teach the class. There are a couple of things that I require them to do, but it is thier lesson to teach. They learn the tool. They organize the lesson, the create the pre/post assessment, they handle most of the questions…I don’t sit on the side like a fly on the wall either. I’m busy working the room, asking questions, correcting the teaching team when they need it, offereing my insight and experiences. Don’t be too quick to dismiss this classroom model, make some tweaks and see what you can do! 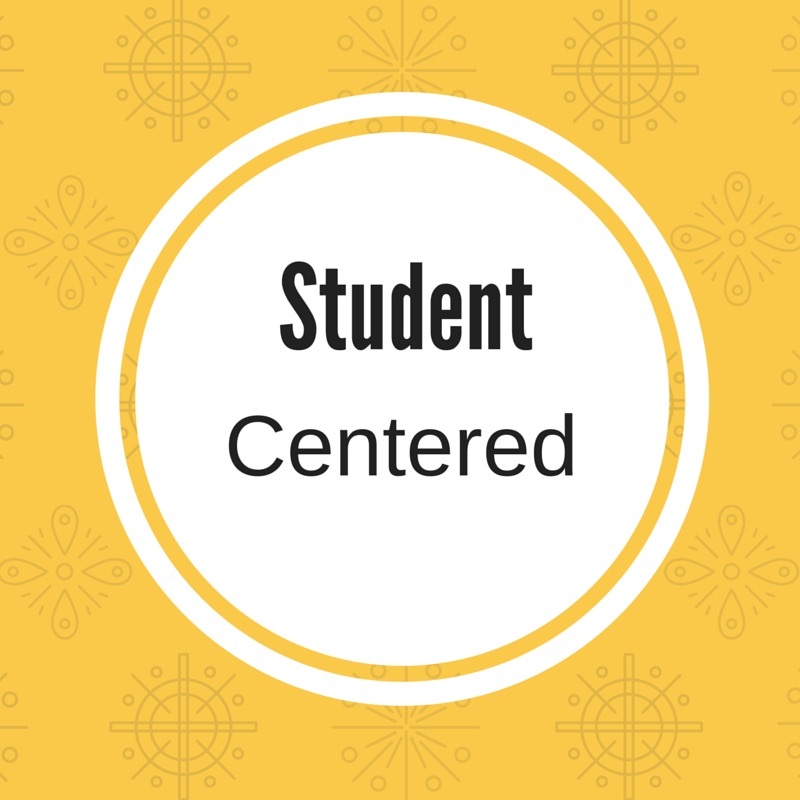 2 Responses to "Student Centered"
Know the standards to stay somewhat aligned with them. But don’t worry about being the expert. Facilitate the learning as you learn along with them! They’ll love it and the effective learning will be off the charts.